We think Ryan Sessegnon would be a perfect addition to Liverpool this summer if Fulham were relegated form the Premier League. The club has been linked with the teenager on multiple occasions, such as here in the Echo, but no formal move has ever been made. Obviously in Andy Robertson, we have the best left-back in the business, but Sessegnon would not only come in to replace Alberto Moreno as Robbo’s understudy, but provide as an option for the left wing – where he’s played on multiple occasions for Fulham both in the Championship and PL. 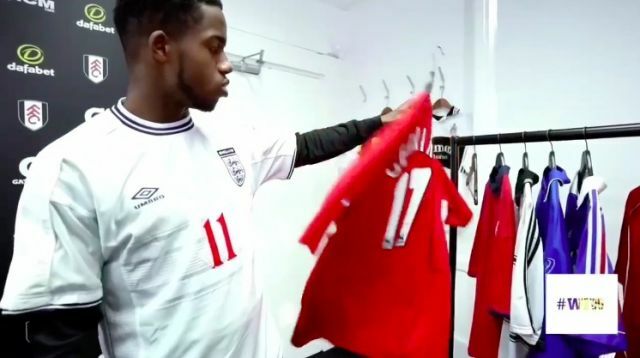 A video has surfaced of the 18-year-old discussing his love for Liverpool and how he grew up idolising Steven Gerrard, which you can WATCH HERE. It’s obvious that Sessegnon would jump at the chance to join his boyhood club, especially if Fulham go down, but it’s not clear if Liverpool maintain an active interest in his services. He’s done well this term, although in many ways it’s been a baptism of fire for the youngster as his older team-mates have let him down. Sessegnon would be nurtured fantastically at Anfield and in Jurgen Klopp, would have a manager perfectly capable of helping him reach his potential. We’ll have to wait and see what happens with this one, of course.